Prior to embarking on the complete renovation of our home, I had never given much thought to fixtures, and the beautiful aesthetic that they can provide to a space. In researching faucets for our upcoming butler’s pantry renovation, I realized that faucets are really like jewelry for the sink! The crown jewel! 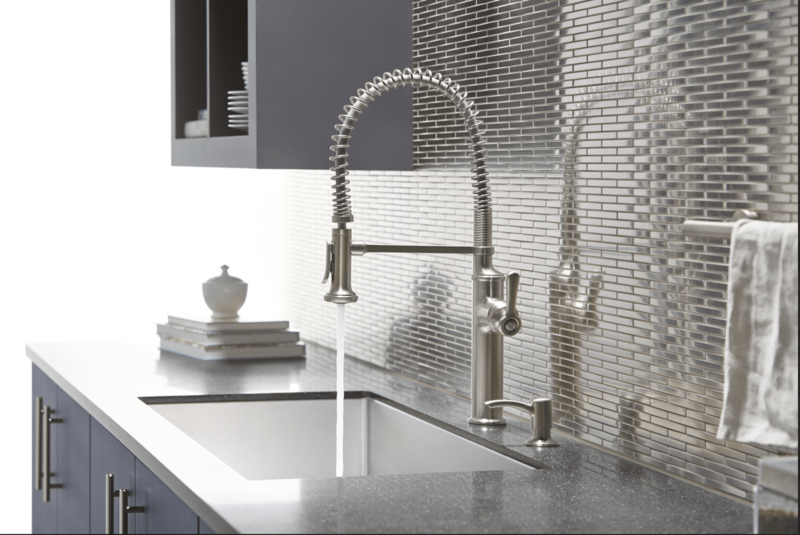 I wanted to show you three of my favorite faucets by Kohler. These three faucets are my final choices for our butler’s pantry sink. The butler’s pantry is an extension off of the kitchen, with extra storage, as well as a separate prep area with a full size sink, so I’ve been doing a lot of research ahead of starting the transformation of this space. 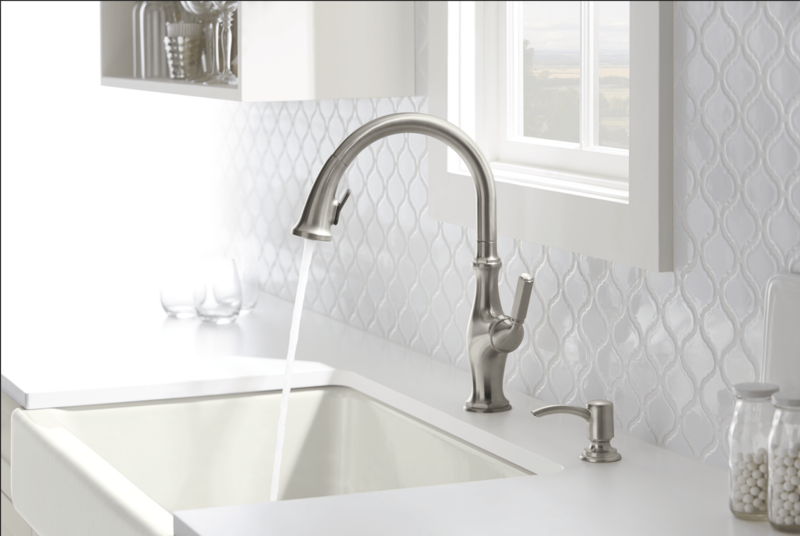 First is the Kohler Sous Kitchen Faucet. 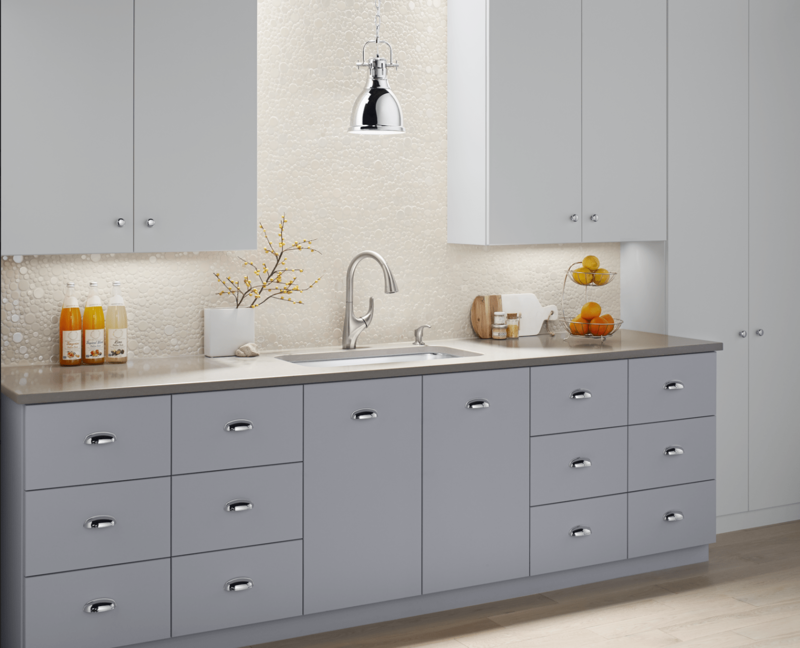 It is inspired by the design of professional kitchens. 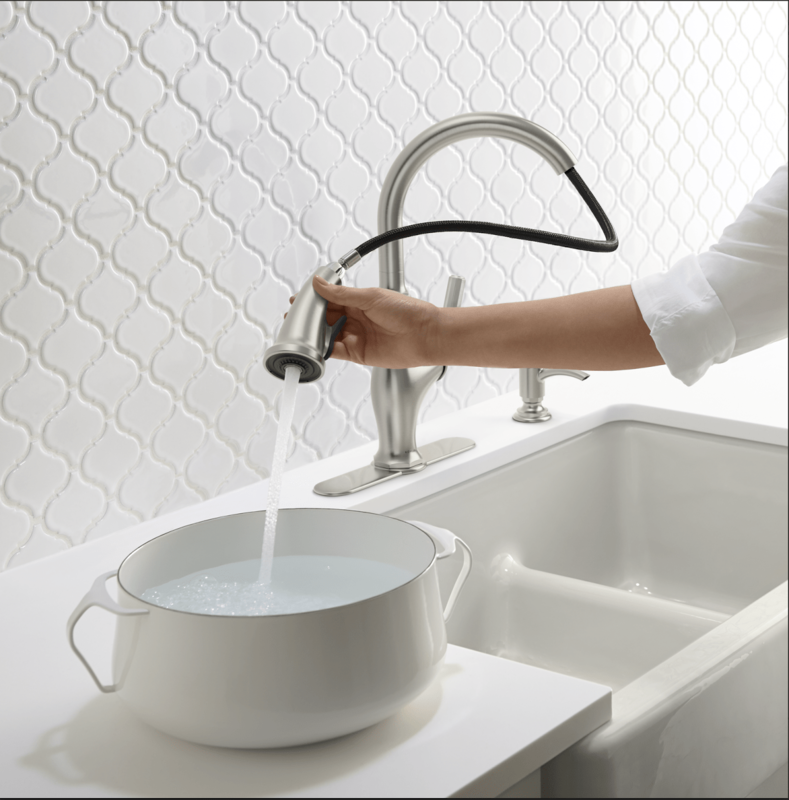 What I love about this faucet is the high arch and unique, exposed-spring design for control and flexibility. ◦ A 2-function spray head that features stream and sweep: a wide forceful spray that facilitates all the various tasks of the kitchen and a detachable spring and spray head that facilitates cleaning to keep your faucet always looking new. 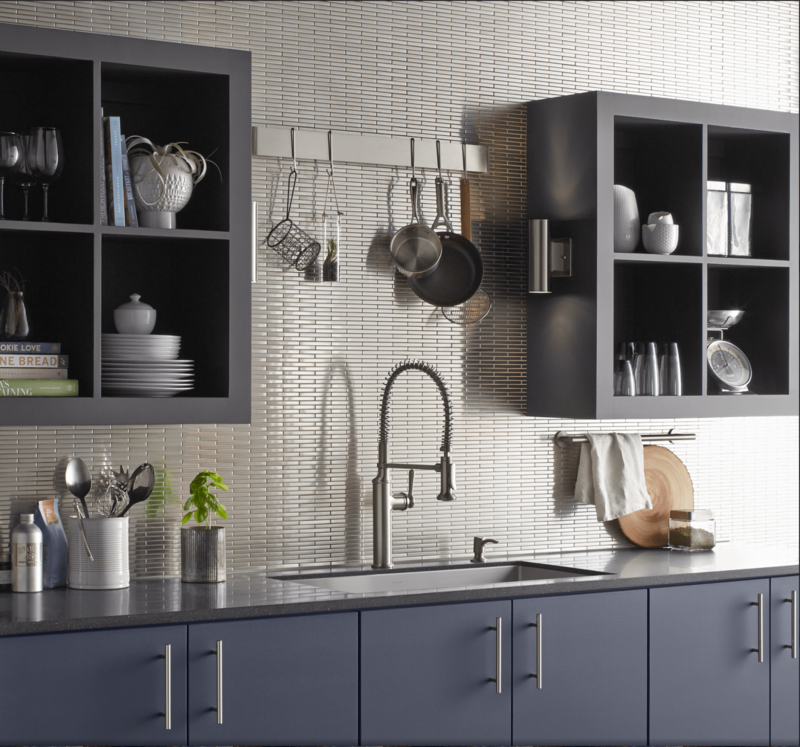 My second choice is the Kohler Worth Kitchen Faucet . It has such a fantastic vintage style, and would complement traditional decor as well as modern designs with retro elements. ◦ DockNetik technology that secures the spray head in place through our signature magnetic docking system. And my third choice is the Kohler Trielle Kitchen Faucet. 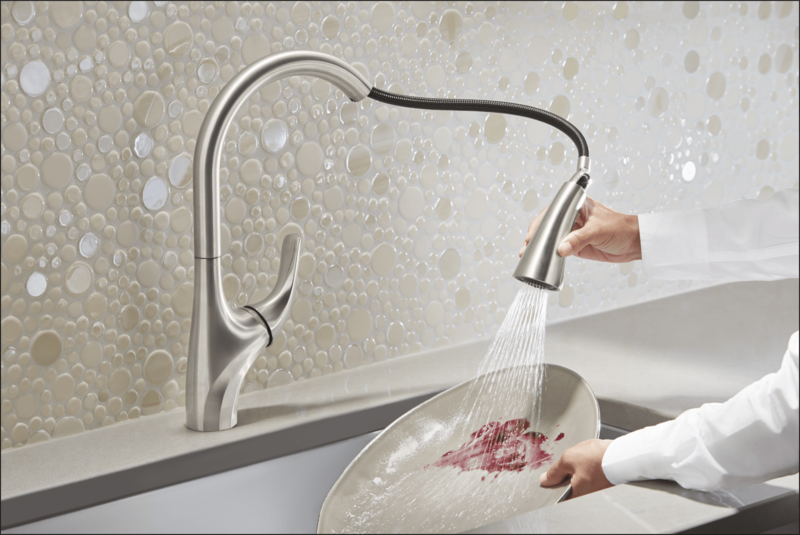 The Trielle faucet brings a touch of glamour to contemporary design, with very subtle lines emanating from it’s handle. ◦ Kohler finishes resist corrosion and wear. ◦ DIYer-friendly installation thanks to flexible hoses and quick-connect fittings. I love that they are all DIY friendly, as hubby and I are DIYing everything that we can around here! All three faucets are exclusively available at The Home Depot, which I love as well, since I’m usually there every week….sometimes several times in a week! 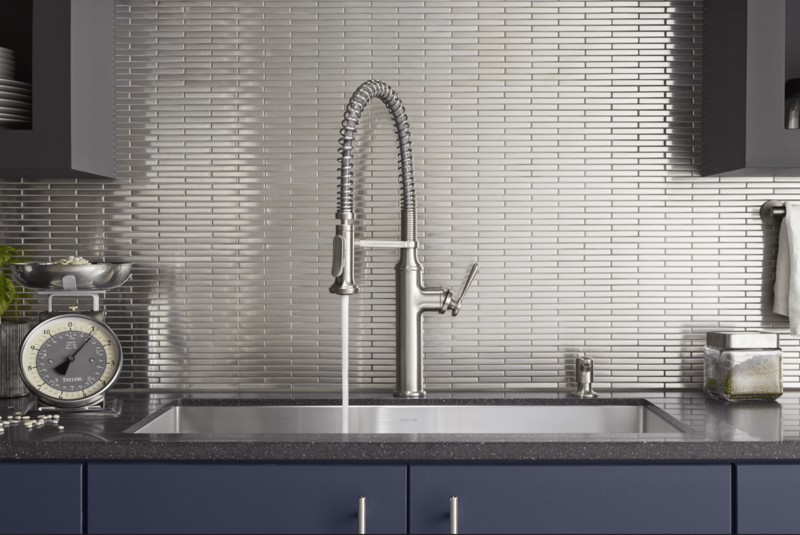 All three faucets include scratch shield technology, which is wonderful in helping the faucet withstand the toughest daily use! 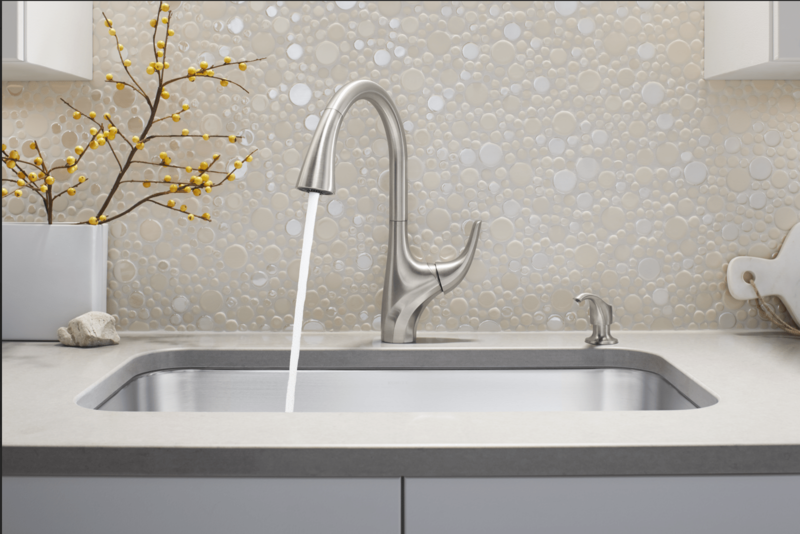 Each faucet also includes a 3-hole sink adapter plate, and they are also designed with ceramic disc valves that exceed industry standards by 2 times, for a lifetime of durable performance. I’m pretty sure that we will be putting an apron front sink in the butler’s pantry, so any of these three Kohler faucets would work perfectly. But there is one faucet, out of my three choices, that is my favorite. But I would love your opinions! So, my dear friends, which Kohler faucet would you choose? Hi Cindy, I like the second and third choices. The first one for me is a little too industrial for French country theme. And I find that it is way too large for a kitchen. That is just my opinion! Love everything that you have done to your place so far, waiting to see end results of foyer. I prefer #1 also. The other choices look too contemporary to me for your beautiful home. The coil probably wouldn’t be a problem since restaurants have them.. I work in a high school & they have that type in the kitchens. I know the health dept looks hard at them and have never seen keeping the coil clean to be an issue. Hi Cindy. So jealous that you have a Butler’s Pantry! I love the Sous Kitchen Faucet. I think of a Butler’s Pantry as the place to arrange flowers, maybe some potting of plants and that faucet would make it so easy to work in the space. Can’t wait to see your final reveal of the foyer and pantry. A Butlers pantry , lucky you girlfriend :0!!! I like the look of #1 it looks like a professional kitchen faucet, however, I too wonder about cleaning dust, food, etc. from all the coils and whether it would be worth the extra maintenance. On the other hand there could be a simple solution, I wonder if keeping a clean toothbrush on hand would do the job? Hmm..I don’t know, that’s a possibility! Ya’ll are bringing up some very good points! Hi Cindy, My choice would be the second one. I don’t care for the bar across on the first one…not sure about the coils either. Can’t wait for your next room! Thank you for commenting Bara! Good morning, Cindy! Those are all great choices, but like you, I am leaning toward the first one. BTW, you mentioned putting in an apron front sink. What kind did you have in mind? I am also researching an apron front sink. While I do prefer the white cast iron, I’m checking into fireclay. Still not sure if that is the one for me. It is less expensive, but I’m not certain on the product. Any helpful hints? Hi Jane! 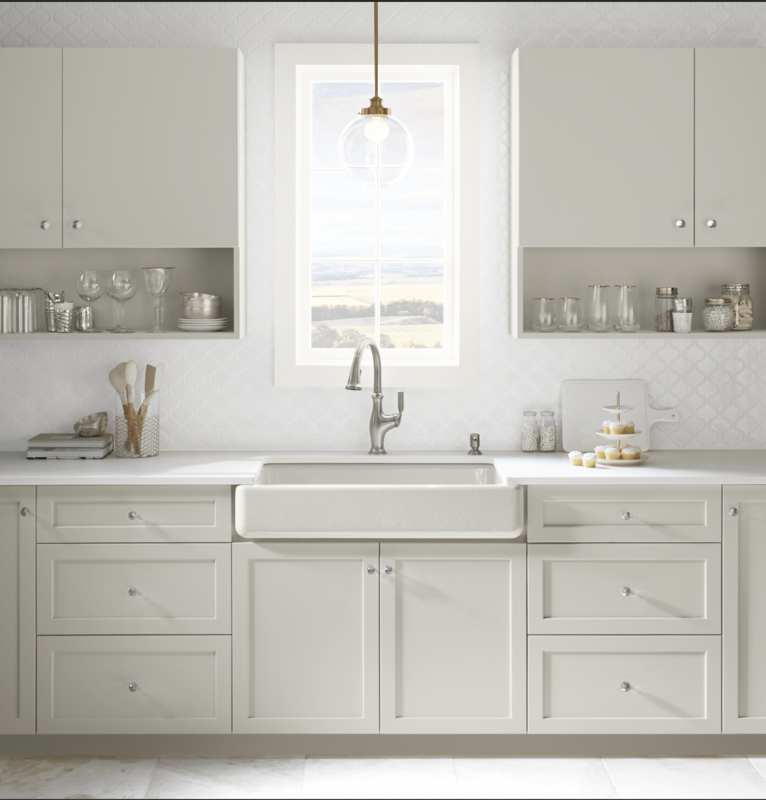 I have a fireclay apron front sink in the kitchen and I love it! We’ve had no issues with it whatsoever! I’m considering a stainless steel apron front for the butler’s pantry, just for a different look. Hi Cindy! I like the first one as well. I only question it’s maintenance (cleaning any dust, etc that may get trapped in the coil). Being in the medical profession the other 2 look like certain medical ‘instruments’. Just my take on them first thing in the morning! Thank you for commenting Celia! I’m not sure about cleaning the coil either, something to look into. From a visual standpoint, I definitely lean toward that one though! I think the first one. Something about just appeals to me. Can’t wait to see which one you choose! That’s my pick as well Cecilia! There’s something about that one that draws me in!